Enjoy a luxurious stay on the Roof of the World, in a hotel surrounded by picturesque mountains amidst a garden dotted by apple & apricot trees. 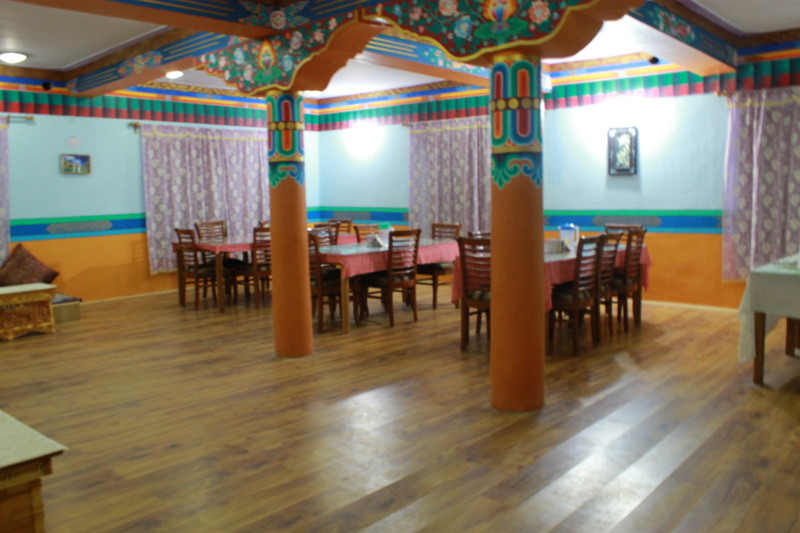 The design of the hotel and the interiors are emphasized on wood and many intricate designs and decorations are etched on wood which are inspired by old Ladakhi tradition and makes you feel at once, one with the land. The Hotel is just a few minutes' walk from Leh Bazaar and yet is far away from the maddening crowds and serves as an ideal getaway to the trans-himalayan kingdom of Ladakh. Gardens, Parking, Travel Counter, Backup Generator, Internet/Wi-Fi, Doctor on Call, Safe Deposit Box-Front Desk, Laundry Facilities, Baggage Storage on Request, Room Service. Shower Caps, Attached Bathroom, Ceiling Fan, H/C Water, Desk, Television Room, Dustbins, Complimentary Toiletries, Telephone, Luggage Rack. User reviews for "Royal Plaza Hotel Leh"